Come experience "Endless Sunsets" in Pigeon Forge! 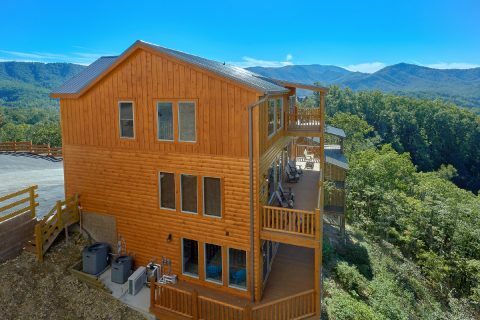 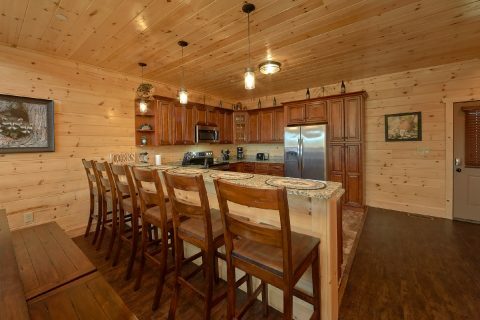 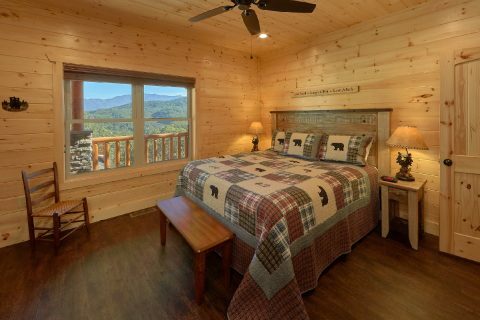 This beautiful 5 bedroom cabin rental in Pigeon Forge sleeps up to 22 guests in comfort, so it's just the right size for a family vacation or a great weekend in the mountains with friends. 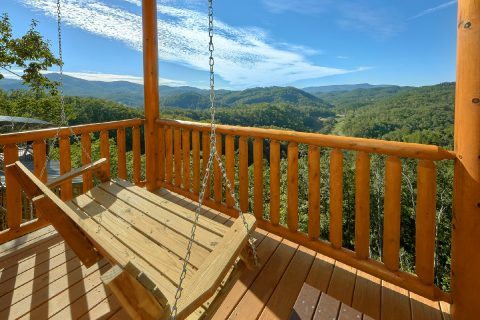 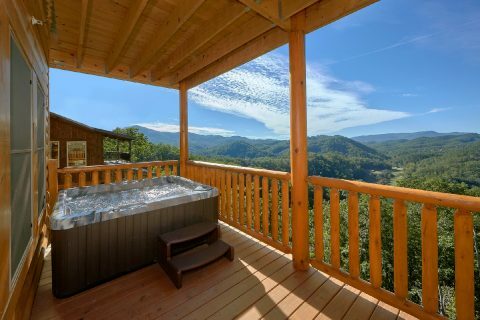 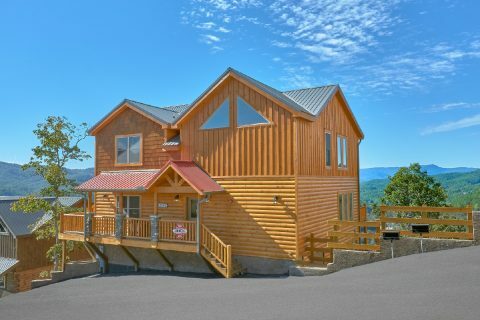 Thanks to this cabin's prime location in the Sherwood Forest Resort area, this rental offers a stunning mountain view and quick access to attractions on the Pigeon Forge Parkway. 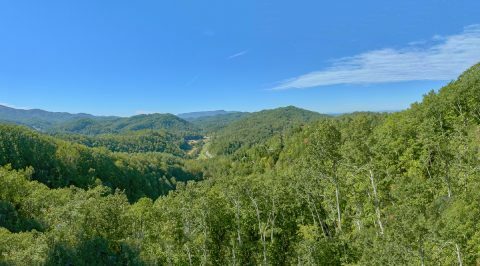 With top destinations like Dollywood, Downtown Gatlinburg, and the Great Smoky Mountains National Park within easy reach, you'll have no shortage of things to do and see during your vacation. 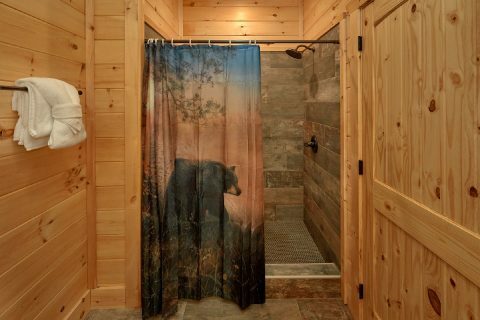 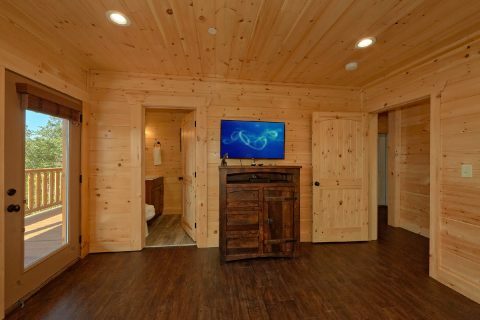 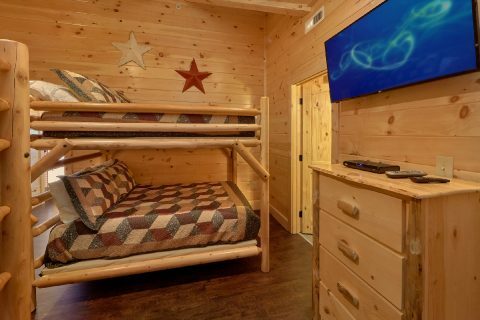 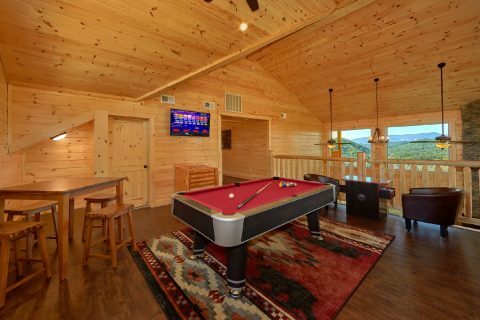 Better yet, after a day spent hiking or riding roller coasters at Dollywood, you'll love unwinding at this premium cabin with tons of excellent amenities. 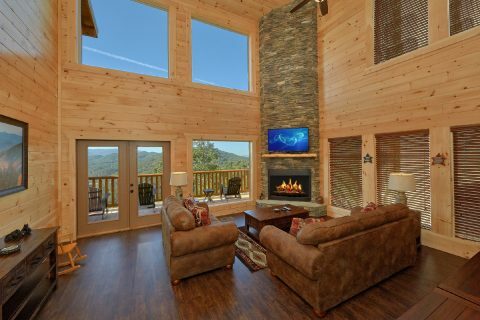 On the main level, you'll find a living room with a gas fireplace for enjoying a cozy evening by the fireside with family and friends. 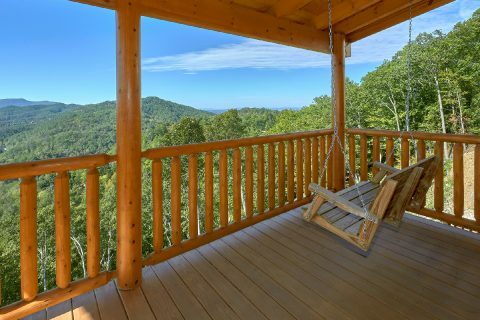 From here, you can step outside to the deck and sit in a chair while you take in the beautiful mountain view. 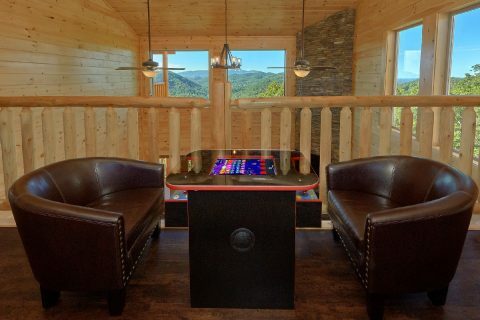 For some in-cabin entertainment, head upstairs to the loft game room to play billiards, the Golden Tee Golf Arcade Game, or the sit down multi-game arcade game. 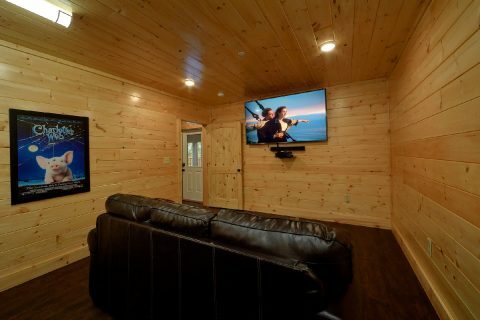 In your cabin's theater room on the lower level, you can watch your favorite film in comfort and style. 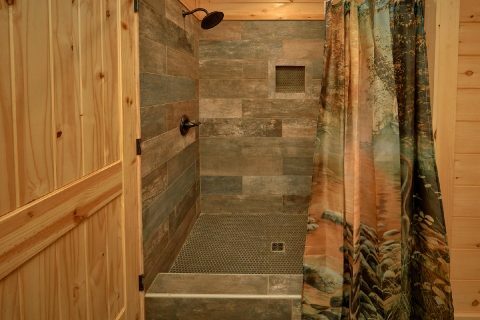 Additionally, you'll find a nice indoor swimming pool on this floor, so you can enjoy a refreshing dip any time of year. 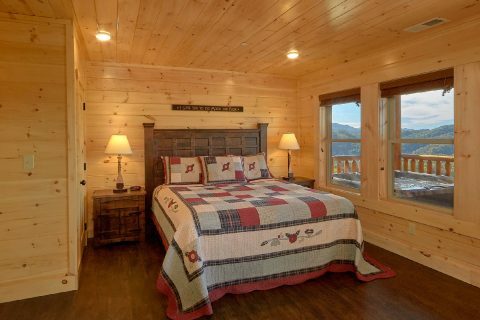 From this floor, you can step out onto a lower deck that comes complete with a year-round hot tub. 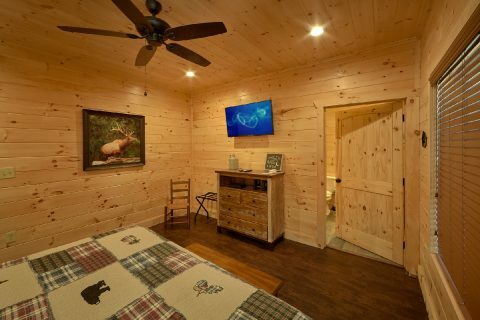 Better yet, your cabin also provides you access to the Sherwood Forest Resort outdoor swimming pool, so you can enjoy stopping by the pool for a nice summer day. 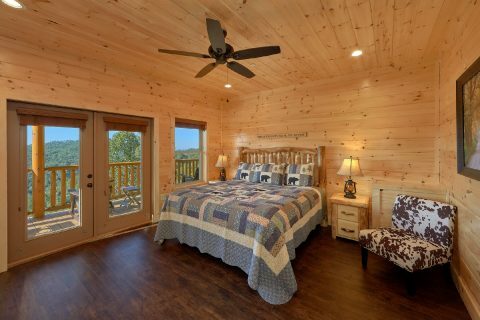 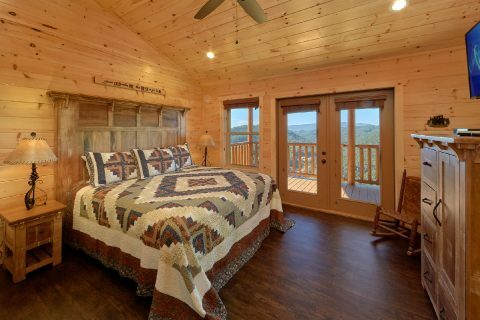 Once you're ready to get some rest, you can look forward to sleeping in one of this cabin's 5 bedrooms. 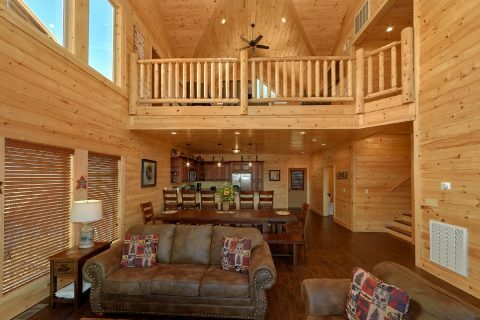 On the main floor, you'll find 2 bedrooms with king-size beds and a sleeper sofa in the living room. 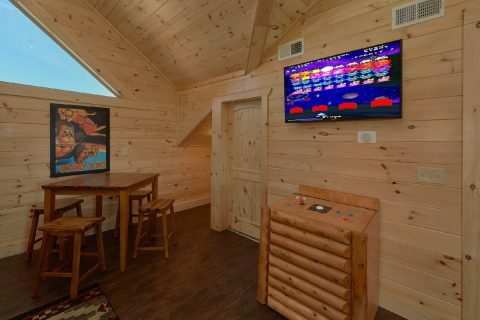 Upstairs, there's another bedroom with a king bed, a room with two sets of queen-size bunk beds, and a sleeper sofa in the game room loft. 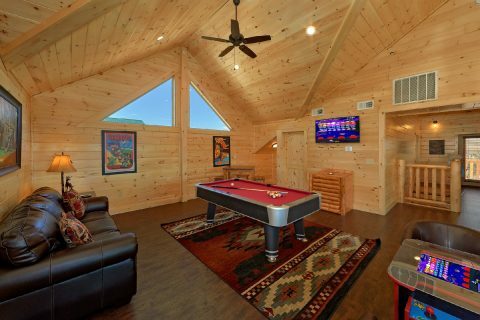 Lastly, the lower floor provides a king bedroom and another sleeper sofa in the theater room. 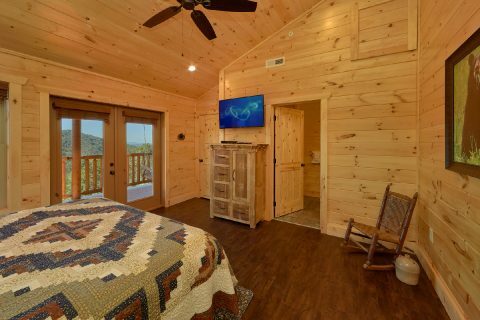 Though this cabin sleeps up to 22 guests, we offer two nearby cabin rentals that can be reserved alongside "Endless Sunsets" to accommodate an even larger group. 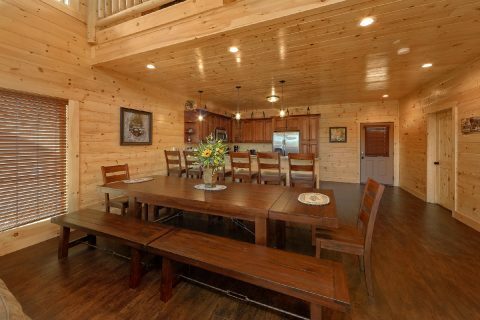 Simply contact our reservations office if you are interested in booking 2 or more cabins in Sherwood Forest Resort! 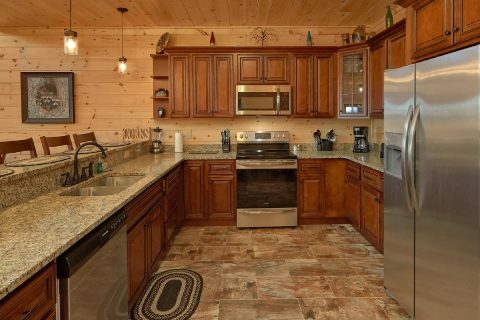 Additionally, this premium resort cabin also gives you practical amenities like a full kitchen, charcoal grill, a washer/dryer, and WiFi Internet to use during your stay. 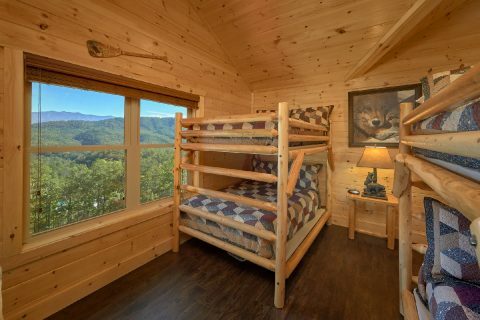 Best of all, when you book "Endless Sunsets" with Cabins USA Gatlinburg, you can save 15% on your nightly rate with our special cabin discount! 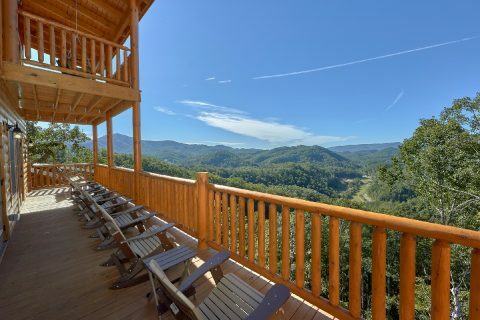 Book today & save!